Jonathan Pollard: On the left is Pollards U.S. Naval intelligence I.D. photo, and on the right a 2012 photo of Pollard in prison. A federal appeals court rejected Jonathan Pollard’s petition to ease his parole requirements and reasserted that it acted within its rights to require Pollard to wear an electronic tracking device. Pollard is a former Navy intelligence analyst convicted of spying for Israel in 1985 and who was granted parole in November 2015 after serving a 30-year prison sentence. The decision to maintain his current parole requirements was made in part because of former DNI chief James Clapper’s assessment that some of the documents stolen by Pollard remained classified. While Pollard argued before the appeals court that he is not a flight risk, Israel has petitioned successive presidents for Pollard’s release (Clinton only dropped the idea after CIA director George Tenet threatened to resign if he did). Immediately prior to his 2015 release, President Obama refused to waive Pollard’s parole requirement to stay in the US under supervision for the next five years, despite Pollard’s – and his supporters’ – wish to see him go to Israel. In 2012 the National Security Archive won, through a Mandatory Declassification Review request and subsequent appeal to the Interagency Security Classification Appeals Panel, the release of a 1987 CIA damage assessment of Pollard’s activities. The declassified damage assessment provides new details on what the Israelis asked Pollard to steal. This list largely consisted of secret US documents on Israel’s rivals, including Syrian communications, the Egyptian missile program, and Soviet air defenses. At one point, Pollard’s handler, Joseph Yagur, told him not to provide “dirt” on senior Israeli officials as these revelations could lead to the operation’s end. 2006 CIA release on the left, ISCAP 2012 release on the right. Get the rest of the story here. How Do You Solve a Problem like (South) Korea? President Jimmy Carter entered office in 1977 determined to draw down US forces in South Korea and to address that nation’s stark human rights conditions, but he met surprising pushback on these and related issues from both South Korean President Park Chung Hee and his own top American advisers, as described in declassified records published today by the National Security Archive. Carter was forced to postpone troop reductions for a time while continuing to press for political liberalization. But his challenge grew appreciably greater after Park’s October 1979 assassination by of the head of the Korean CIA, and a subsequent coup in December of that year by strongman General Chun Doo Hwan. National Security Advisor Zbigniew Brzezinski warned the South Korean ambassador that Chun must avoid letting the Kim Dae Jung case drag out into a “no-win” scenario, noting that this had happened to President Zia in Pakistan when his hand was allegedly forced in the execution of Zulfikar Ali Bhutto. FOIA requests from the National Security Archive have won a pair of documents that shed light on the Cyber Threat Intelligence Integration Center – the “federal lead for intelligence support in response to significant cyber incidents” that was established in 2015 by the Director of National Intelligence. The documents are a June 2015 DNI report, conducted with the assistance of NSA, CIA, DIA, FBI, and the Department of Homeland Security, which delivers a detailed discussion on the CTIIC responsibilities and core functions. The other is a 2016 organizational chart providing information on the organizational structure of the CTIIC – including its three key sections. 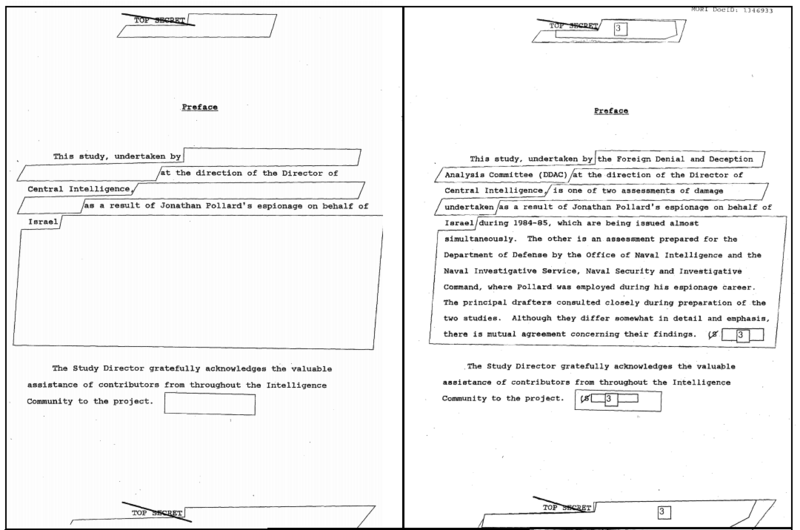 These two documents are two of 12 new additions posted in the National Security Archive’s Cyber Vault on Wednesday, May 31. We have two #tbt picks this week, chosen with the recent deaths of deposed Panamanian dictator, Manuel Noriega, and national security advisor Zbigniew Brzezinski in mind. When the US deposed Panamanian dictator Manuel Noriega in 1989 during Operation Just Cause, SouthCom Network radio famously blasted rock music towards the Panama City residence where Noriega was hiding. 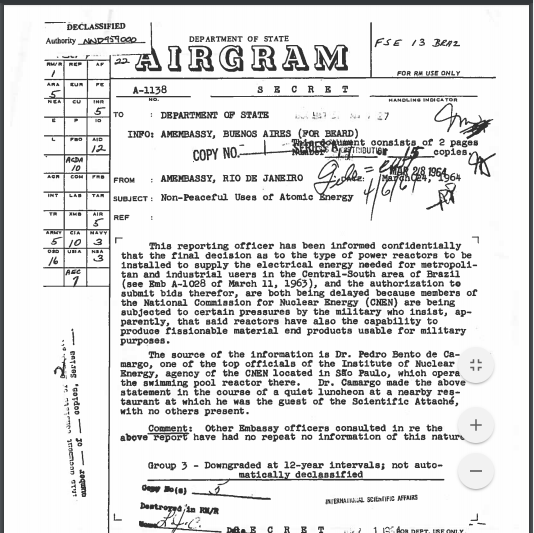 A FOIA request to Southern Command from the National Security Archive’s Panama documentation project freed the playlist, which was included in a Southern Command After Action report. What was on it? 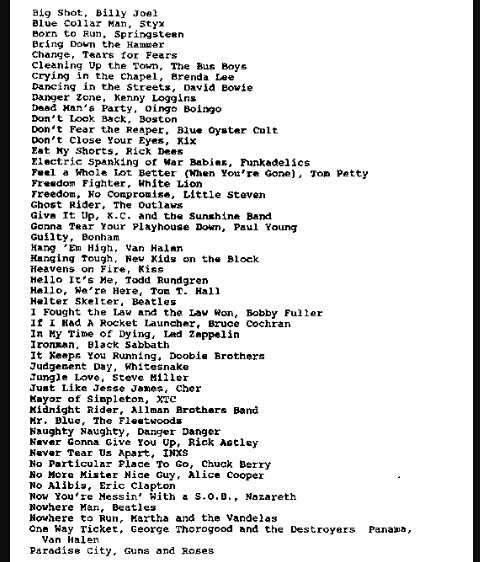 “50 Ways to Leave your Lover,” “Freedom Fighter,” “Nowhere Man,” “No More Mister Nice Guy,” and “Hang ’em High,” among others. Want to stay on top of the latest FOIA news? Click here to sign up for our weekly FRINFORMSUM (Freedom of Information Summary) email newsletter.